brand new high quality screenshots!!! Speaking about the eyes, the main female lead can be seen to have violet coloured eyes. So does the prince. We had the initial impression that he had red coloured eyes. From the new images, his eyes are blue. Will he have blue eyes normally? As for the female lead, is it the same for her?? Can you explain what is happening in the scene from the images released? Normura: The scene takes place at a party. This is the first time they have met each other. Initially, I wanted to make a scene that showed them introducing themselves. Even though we tried our best, we still cannot release their name to the public. Sorry. We will try to screen that scene at TGS if possible. Are there other people in the room? What is the painting about? What is the skeleton that is holding the painting? Norumra: This country believe in a Shinigami (Death god). 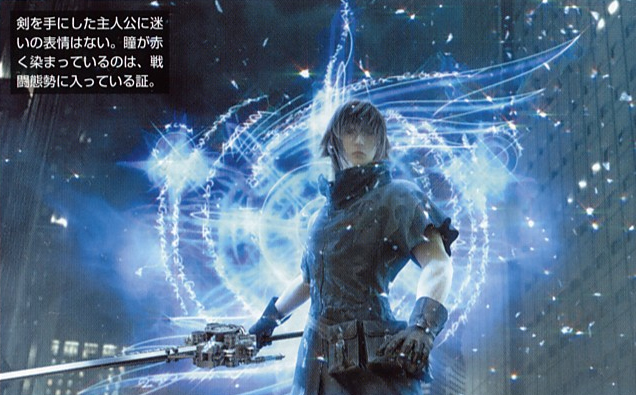 Based on the Fabula Nova Crystallis mythos. The Prince's outfit is based on the design by the creative director of Roen. What is the reason for this co-operation? Normura: This is to express the higher level of realism. If we based it on an actual real subject, it will feel more real. What will happen to the the initial outfit? Normura: Initially, we just designed this outfit based on the script to give a visual impression. That's it. As we create more scenes, the outfit will change. The car will have a new design too and the Prince will look like someone who goes to a high class pub. Will the female lead say that? Normura: She is a very polite girl. She will not say those things to someone who she's met for the first time. To express this characteristic, the way she speaks will have some prominent trait. The team you are working with are excellent! Normura: Yes, it is a very great team. I'm full of anticipation and the team spirit is very high! So what do you guys think? 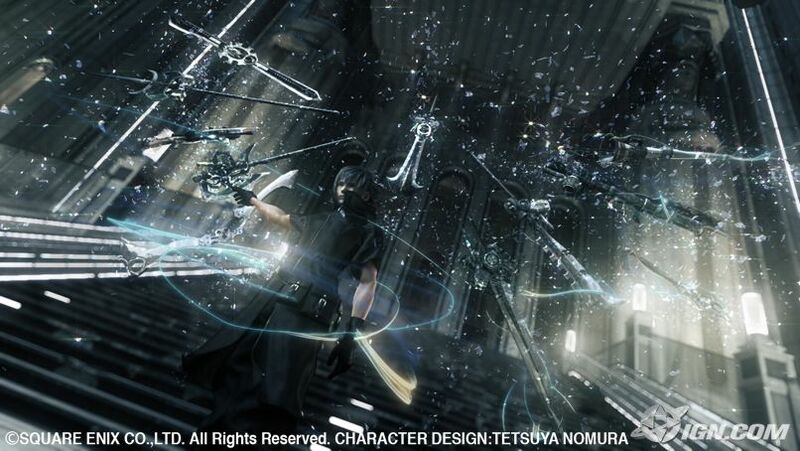 2 new battle screens showing Noctis Lucis Caelum. I think I'm in love with the scar guy though <3 and I hope we get Stella as a party member so we can add some "feminine" to the group.